Dr. John M. Cypert currently serves as a music specialist at Duncan Creek Elementary School in Hoschton, Georgia where he teaches general music to children in grades K-5 and co-directs the Duncan Creek Cardinal Choir, a 2013 guest performance ensemble at the Georgia Music Educators annual in-service conference. Additionally, John serves as percussion supervisor and arranger for the Spirit of Atlanta Drum and Bugle Corps, the Mill Creek High School marching band, and is in his twentieth season as the percussion coordinator and arranger for the University of Georgia Redcoat Marching Band. John has served as the music arranger and ensemble director for Pariah Percussion Theatre from Jasper, Georgia, a competitive independent percussion ensemble in the Winter Guard International arena. While in this position, Pariah earned the WGI Percussion Independent Open Class silver medal in 2003, was a World Class finalist in 2004, and was crowned the Open Class World Champion in 2009. In 2005 and 2006, John served in the same capacity for Odyssey Percussion Theatre from Suwanee, Georgia, who placed sixth and seventh respectively in the WGI Percussion Independent World Class. In 2000, John served as the percussion caption head and arranger for the DCI finalist, Crossmen Drum and Bugle Corps from Newark, Delaware. In 2009, the Valdosta Middle School percussion ensemble commissioned and premiered John’s original work, Perpetuality, at the Midwest Band and Orchestra Convention in Chicago, Illinois. Prior to this in 2008, the Lanier Middle School percussion ensemble from Suwanee, Georgia performed his commissioned arrangement of Voices of Spring by Johann Strauss, Jr. at the same venue. John remains active as a composer, arranger, adjudicator, and clinician throughout the United States. John’s professional experiences include performances with the Augusta Symphony, Augusta Opera, Gainesville Symphony, Macon Symphony, and the Northwest Arkansas Symphony. He was a member of the Spirit of Atlanta Drum & Bugle Corps from 1991-1993 where he performed as a snare drummer. He remains active in the Southeast in all realms of percussion performance and endorses the products of Innovative Percussion, Pearl Drums, and Remo exclusively. Travis W. Downs graduated from the University of Georgia (UGA) with a bachelor's degree in music education. While there, Mr. Downs was the percussion arranger and instructor for the Redcoat Band. He then earned a Master of Music degree in percussion performance from Louisiana State University (LSU), where he was awarded a graduate assistant position under Director of Bands Frank Wickes. Before his appointment at North Gwinnett Middle School (NGMS), Mr. Downs was the Director of Bands at Valdosta Middle School (VMS) in Valdosta, Georgia. Ensembles under Mr. Downs's direction have been invited to play at the Georgia Music Educators Association (GMEA) In-Service Conference on two occasions, the UGA Midfest in 2012, the Grand National Adjudicators Invitational in the spring of 2012, and were the recipient of the GMEA Exemplary Performance Award for the 2012-2013 school year. The VMS Percussion Ensemble was selected to perform at the 63rd Annual Midwest Band and Orchestra Clinic in 2009, and the NGMS Percussion Ensemble was selected to perform at the 2015 Sandy Feldstein National Percussion Festival, part of the Music for All National Festival presented by Yamaha. The North Gwinnett Middle School Symphonic Band was selected to perform at the GMEA In-Service Conference and the Music for All Southeastern Regional Concert Festival at Georgia State University in 2016. The North Gwinnett Middle School Band Program was also the recipient of the GMEA "Exemplary Performance Award" for the 2014-2015 school year. Before moving to Valdosta, Mr. Downs was the Assistant Band Director at Tapp Middle School in Cobb County, Georgia for six years. During his tenure there, the Tapp Eighth Grade Symphonic Band was selected to perform at the 2003 UGA Midfest and the 58th Annual Midwest Band and Orchestra Clinic in Chicago, and the percussion ensemble was selected to perform at the 2003 GMEA In-Service Conference. Mr. Downs is a member of the Vic Firth Educational Team. He has served on the percussion staffs for the Carolina Crown and the Crossmen Drum and Bugle Corps, and has been a member of the Bluecoats and Carolina Crown Drum and Bugle Corps. Mr. Downs has been awarded the National Band Association's Citation of Excellence award on three separate occasions, and also serves on the GMEA All-State Band Committee. 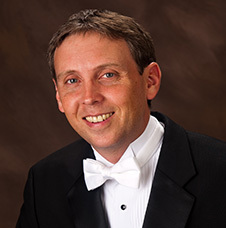 Mr. Downs's professional affiliations include the National Association for Music Education, the National Band Association, the Georgia Music Educators' Association, Pi Kappa Lamda, and the Percussive Arts Society. 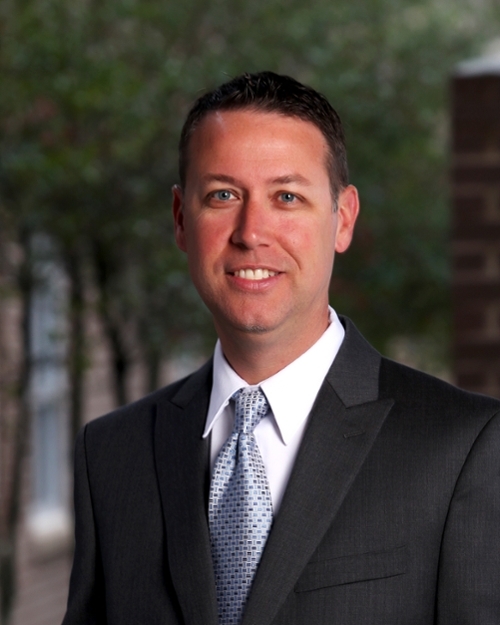 David Nelson is the director of bands and director of percussion at Lake Central High School in St. John, Indiana. David currently teaches the advanced placement music theory courses, the electronic music courses, the wind ensemble, concert band, and the percussion ensembles. He holds a bachelor’s degree in music education from Saint Xavier University in Chicago, Illinois. He has been active as a music arranger, designer, and instructor for the past 20 years and has worked with many top high school bands across the country. David has also served as the percussion arranger for the Northern Illinois University Marching Huskies. David is a former member of the Glassmen Drum & Bugle Corps (1998). He served as the percussion caption head and arranger for the 2001 DCI Division III Champion Blue Stars, and has been an instructor or consultant for the Phantom Legion (1999), Boston Crusaders (2002-03 and 2005-06), Glassmen (2004). In 2011, David joined the Colts Drum and bugle corps, and in 2012-13 became caption head and arranger. 2014-2016 David was the percussion arranger and caption supervisor. David currently resides in Lowell, Indiana with his wife Heather and their three children Zach, Emma, and Abby. David is a proud endorser of Innovative Percussion sticks and mallets. 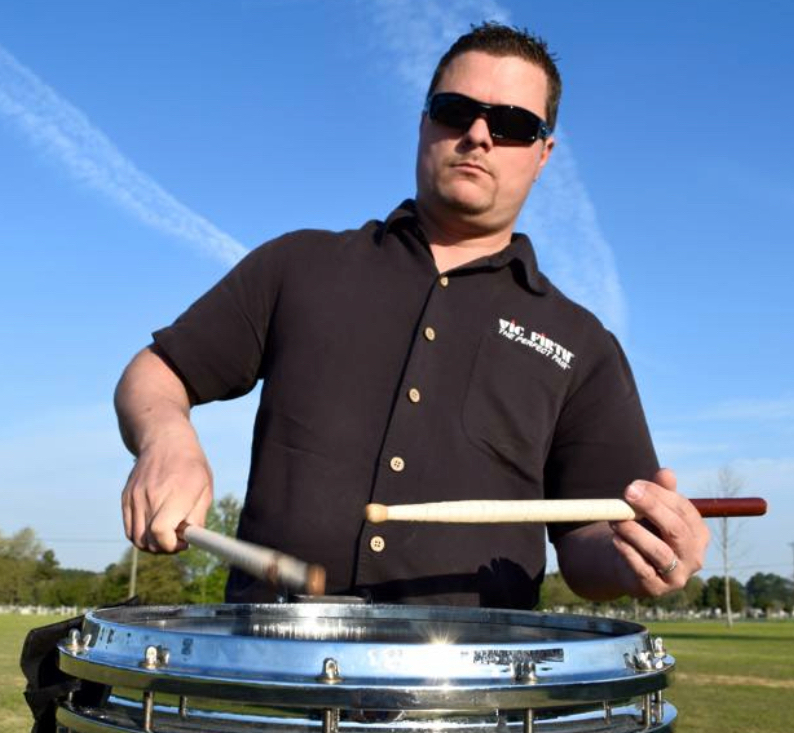 Aaron Savage is the Percussion Director for the Colquitt County School System and has served as Valdosta State University Drumline Instructor. A product of the Tift County School System, Mr. Savage graduated from Tift County High School in 2002 where he also instructed the percussion section from 2003-2011. Mr. Savage is also an alumnus of the Southwind Drum & Bugle Corps and of the Spirit of Atlanta Drum and Bugle Corps. He attended Jacksonville State University (AL) and Abraham Baldwin College and is now finishing up his education at Valdosta State University where he has served as the Marching Percussion Coordinator and arranger since 2011. He has studied percussion with some of the best in the country such as Clint Gillespie, Nick Angelis, Carl Eppler, Jeff Ausdemore, Ryan Sirna, Shane Gwaltney and Paul Campiglia. He is a current member of the Percussive Arts Society and an Education Team member for the Vic Firth Cooperation.